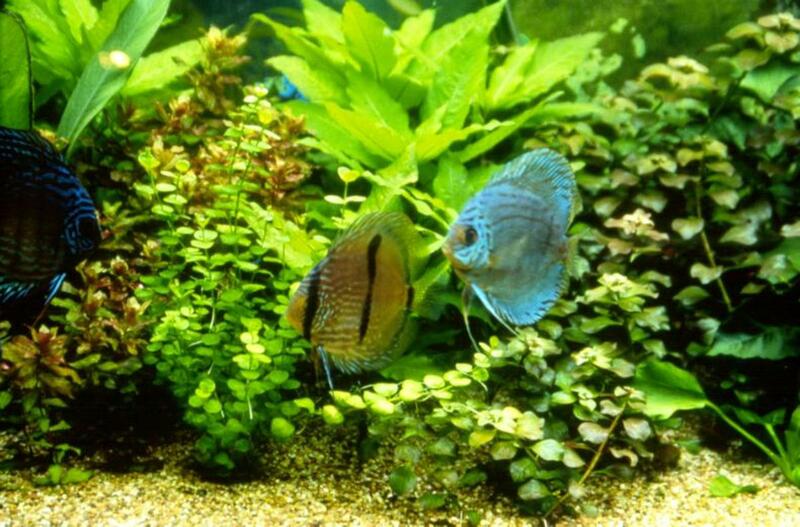 How can you get rid of algae growth when it overtakes your freshwater tank, or at least control it before the fish start to suffer? That green gunky stuff covers aquarium decorations, climbs the glass of the tank, and sometimes even gets on the aquarium inhabitants themselves. Algae growth is a natural occurrence in a freshwater tank, but it can be a nightmare if left unchecked. Fortunately, if your fish tank is permeated with algae, there are solutions. 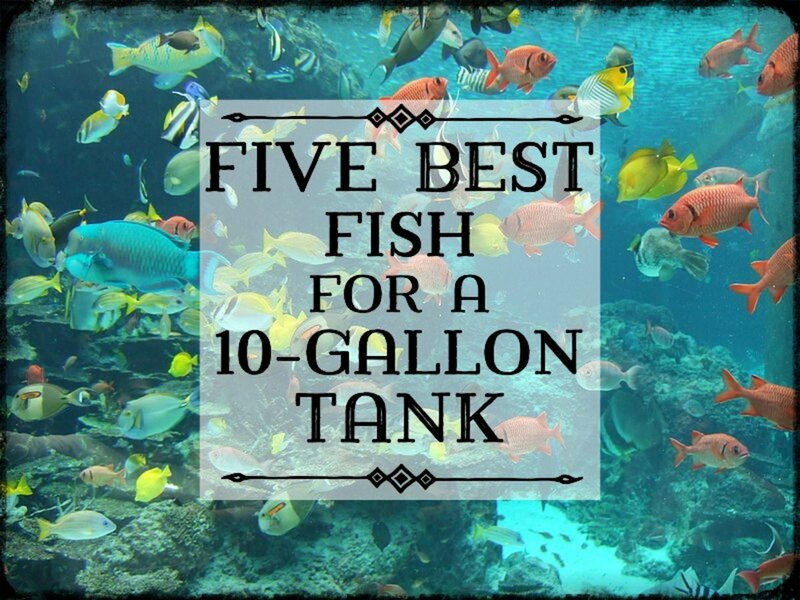 You can drastically limit the level of growth in your tank by practicing the correct tank management habits. A little algae buildup on rocks and driftwood isn't a bad thing. It makes your tank look more natural. But when you wake up one morning and the glass has turned green it’s probably time to take action. You’ve got some work ahead of you, but the good news is that once you take a few steps in the right direction controlling algae gets easy. Don’t resort to chemicals to deal with algae in your tank. There are better, natural ways to tackle the problem. Algae is a broad term used to classify a wide range of plant-like organisms. 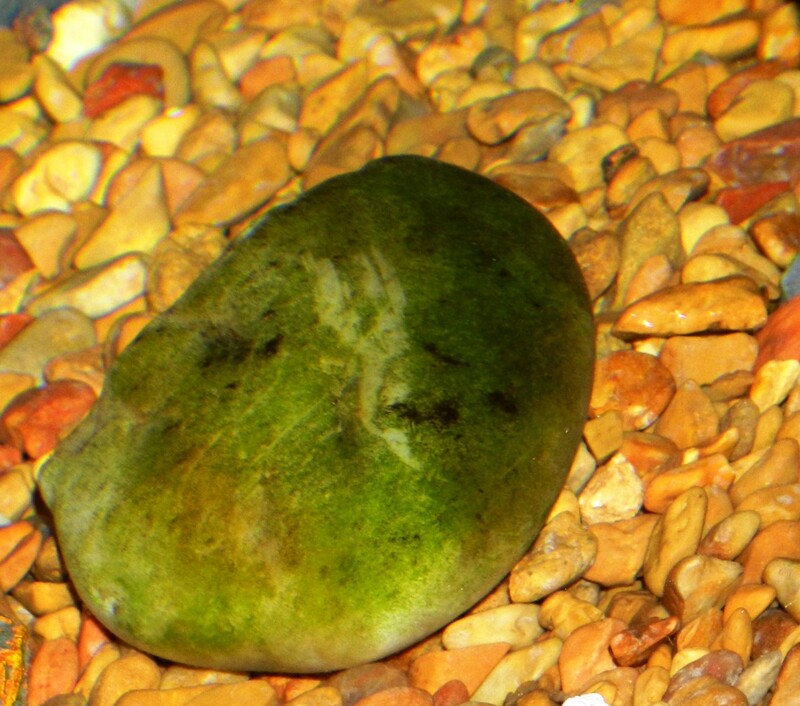 There are a few types of algae you may encounter in your freshwater aquarium, but green and brown are the most common. Both are a result of normal processes in your tank, and no cause for alarm. Brown algae are easily dislodged from surfaces with a quick wipe, but green algae are a little tougher to get rid of and needs to be scraped away. Like plants, algae contain chlorophyll and create their own food through photosynthesis. Therefore, the same circumstances that helps a plant to grow helps algae to grow. This is important to know when trying to get rid of algae in a fish tank. It should also be noted that the word algae is actually a plural term. The single form would be alga. But if you have only one alga in your tank you probably don’t have much of a problem, and you wouldn't be reading this! The first step some aquarium owners take when they realize they have an algae issue is to go out and purchase algae-eating fish. They toss the fish in the tank, and wait for them to clean everything up. Eventually they realize the fish aren’t getting the job done, but it’s not because they are lazy or on a diet. Fish and critters can only do so much when it comes to controlling algae. They don’t hurt anything, and in tanks where there is minimal algae growth they may prevent it from getting worse, but if your situation is out of control they probably can’t save you. Be aware that most species of plecostomus, the fish most people turn to for eliminating algae, can grow a couple of feet long and are way too big for most aquariums. 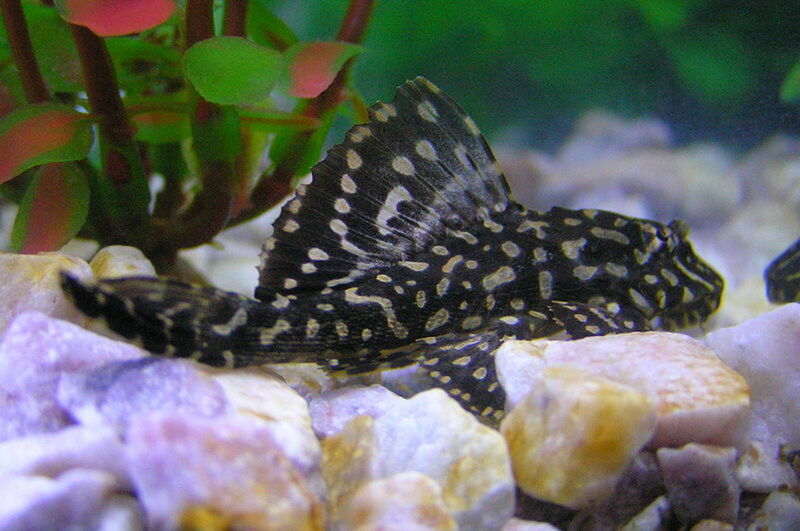 Consider a rubber-nose pleco instead, as they only grow to a few inches. All plecos can be tough on live plants. 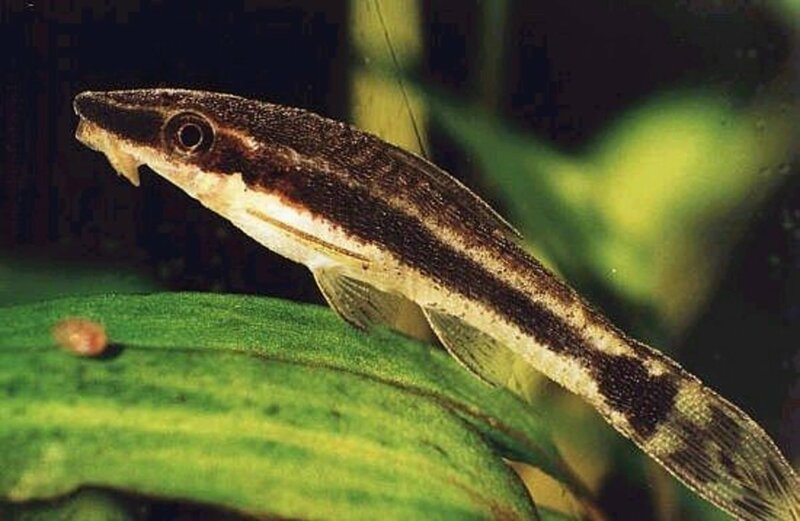 The Chinese Algae Eater is another fish you may consider, but they can become aggressive as they get older. For most aquariums, the little otocinclus is a good choice. They’re tiny, schooling catfish about an inch in length that will descend on your algae like a little army. They should be kept in schools of at least six. Other critters like Apple Snails will eat some algae too, but may also wreak havoc on any live plants you have in your tank. If you have many tiny snails in your tank that you can’t get rid of, these guys are thriving on your algae problem. These are pest snails, and they can be a big problem in their own right. But, if you can take steps to drastically decrease your algae growth you’ll also be limiting their food source. Be aware that algae-eating fish and critters can only do so much. You may need to remove algae yourself. Magnetic algae scrubbers are an easy way to keep your tank clean without getting your hands wet. I prefer the Mag-Float. It does a great job of scraping the green stuff, and if you accidentally drop it, it floats! Speaking of food sources, over-feeding your fish can be a major cause of excessive algae growth. Why? Because, to put it bluntly, what goes into a fish must come out! If you’re letting your fish stuff themselves to the gills and watching a lot of excess food fall to the floor of the tank or get sucked up by the filter, you are creating two great food sources for algae: fish waste, and waste from decaying fish food. Like plants, algae will thrive on these things. Learn to gauge how much your fish will eat in a few minutes, and don’t give them so much food that it’s floating to the bottom of the tank. Consider putting them on a feed/fast schedule where they do not eat one or more days a week. Don’t think of this as cruel: It’s almost impossible to starve a fish, and by limiting waste in their tank you are creating a healthier environment for them. Along the same line of reasoning as limiting feeding, you need to make sure you are performing the necessary tank maintenance to keep algae under control. 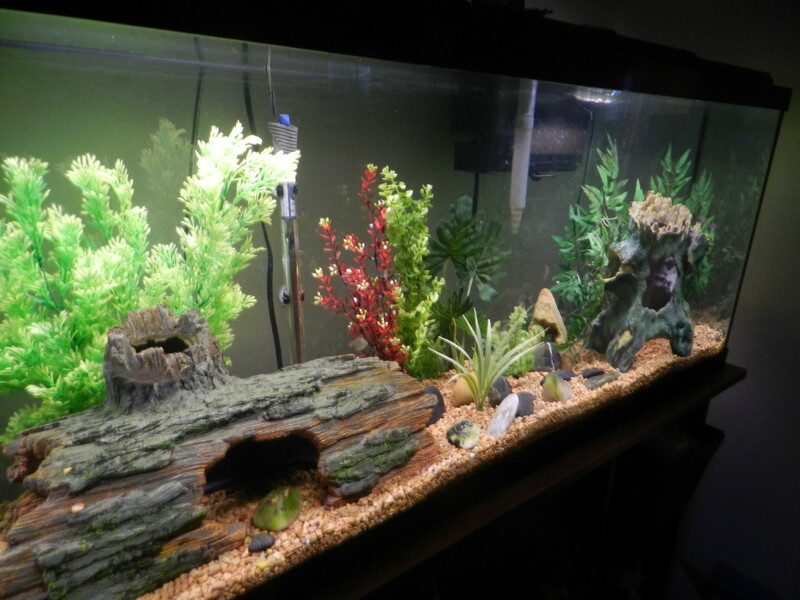 A good routine to get into is performing a weekly water change of about 30%, and a more thorough cleaning monthly. Don’t cringe! There are easy ways to change the water in your tank that will only take you a few minutes, and it’s time well spent. All tanks accumulate waste chemicals, and by replacing a percentage of the water once a week you are diluting the amount of pollution. This means healthier water for the fish, and less “alga food” in the water. Monthly, you need to roll up your sleeves and vacuum the substrate, clean off the decorations, clean the filter and scrape the algae off the glass. There is no substitute for this work, and it is vital for making sure you have a clean, healthy tank, that is as algae-free as possible. If you have a planted aquarium, you need to be sure you have your lights on a good 12 hours a day. But if you have plastic plants, controlling the amount of time you have the lights on is a great way to control algae growth. Remember that algae create their own food via photosynthesis. This means they need light to thrive, just like a plant. If you limit the light, they can’t be as prolific. Of course fish need a day/night cycle to be healthy, just like people do. But in the wild most tropical fish don’t have a massive light blaring down on them as they do in your tank. The dim light of daytime is a rough approximation of what they would experience in their rivers and lakes back home. Really, the aquarium light is for you, not them. 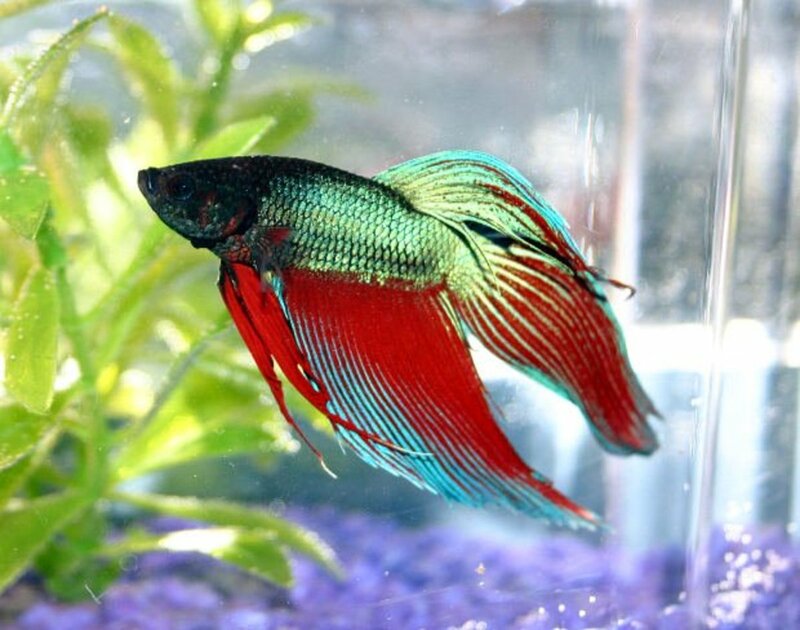 It lets you see your pretty fish, and that’s nice, but when nobody is home keep the light off in the tank and algae won’t have a chance to thrive. If you have a large tank and you’ve already made the mistake of placing it in direct sunlight there is probably nothing you can do at this point. But if you have a tank you can move, or if you haven’t set it up yet, consider placing it somewhere that the sun won’t be hitting it during part of the day. It is easy to see why this is important: Like plants, algae will grow like crazy given a good amount of sunlight. Following the steps above and not providing the necessary food helps reduce the chances of this, but why help the algae at all? Direct sunlight isn't the best thing for your fish, either. The bright light, along with the increased temperatures in the tank, can cause them undue stress which may erode their health. It’s better for fish, tank and owner to avoid the sun if possible. Growing natural plants in your tank can go a long way when it comes to limiting algae growth. One reason is obvious: The plants and the algae are competing for the same food sources. Where fish waste is bad if you want to stop algae growth, it’s good (to a certain level) if you want to grow live plants. 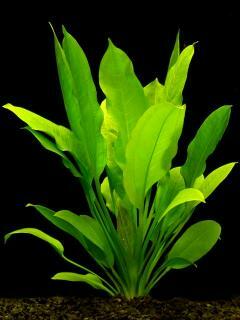 Healthy plants will do a better job of nutrient uptake, and the algae will struggle. Some say certain plants give off natural substances that prevent algae growth. This makes sense, as algae can accumulate on plants too, which of course is not good for the plant. Planted aquariums still need maintenance, but when done right they can be perfect little ecosystems that meet the needs of fish and plants alike. When the balance is right, algae growth will be minimal. If your tank water is cloudy and green all of a sudden, you are in the midst of an algae bloom! Algae live in the water, not just on surfaces, so a sudden change in any of the parameters that allow them to thrive can cause a sudden burst of algae growth. This sounds a lot worse than it is, and generally the solution is simple. First off, if you’ve had an algae bloom something has gone awry with the control methods listed above. Usually it’s because of a sudden spike of waste chemicals in the water. You need to figure out why that happened. Did you over-feed? Did you introduce new fish? Have you missed a few water changes? The remedy is simply to perform a water change and introduce fresh, clean water, thus taking away some of nutrients the algae is feeding off. You may wish to perform an extra water change for the week, spaced a couple of days apart. Then, get back to your usual algae maintenance routine. The purpose of this article was to help deal with algae in as simple terms as possible. However, anyone who is serious about aquarium care should consider investing in a water-testing kit and discovering more about the nitrogen cycle and chemicals in their tank. Learn to monitor the level of ammonia, nitrates and nitrites in your aquarium and you have a better chance of keeping your water parameters under control. Most people are probably happy with keeping their tank looking clean, and getting rid of as much of that brownish, greenish gunky stuff as they can. The bad news is that algae are never going to go away completely. New spores will come every time you introduce a new fish or plant into your tank, and they can even float in on the air. It’s best to think of the alga as just another organism in your fish tank. But, as we’ve seen, even though you won’t get rid of algae completely you can control it if you get into the right aquarium care habits. How is the algae situation in your fish tank? Bad! It's so green in there I'm thinking of giving my fish tiny lawnmowers! It's starting to get out of hand and I need to do something NOW! Not bad, but I don't want it to get worse. Algae problem? I don't have no algae problem! Can I take decorations out of my fish tank to clean them? Yes, you can and should remove decorations from your tank periodically to clean them of algae and other gunk. Even with algae-eating fish in your tank, you will find there are places they can’t or won’t clean. 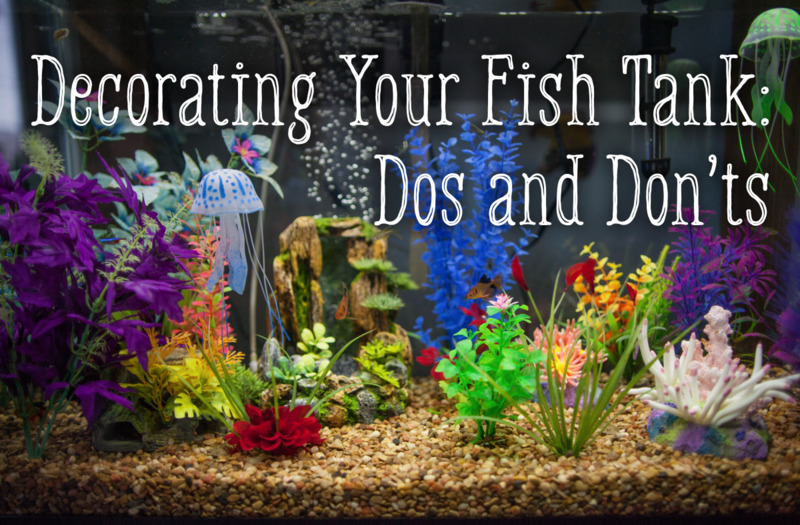 Aquarium owners must remove decorations and clean them by hand. Additionally, uneaten food and other waste can get trapped in decorations where scavenger fish can’t reach it. It is important to get rid of this junk, so it does not pollute the water. However, never use detergent or any other household cleaners to clean decorations or anything else that will go inside your aquarium. Residue from these cleaners can be harmful to your fish, and may even kill them. Instead, use hot water and old-fashioned elbow grease. If you need an abrasive substance, you can use aquarium salt, but be sure to rinse the decorations thoroughly before adding them back to the tank. It should go without saying that this advice does not apply to live plants. Once rooted, they should not be moved. You can vacuum around them, but do your best not to disturb them while cleaning. The algae eater just eats at the surface and on the glass tank. How can I get it to clean the algae off the bubbler and the heater? 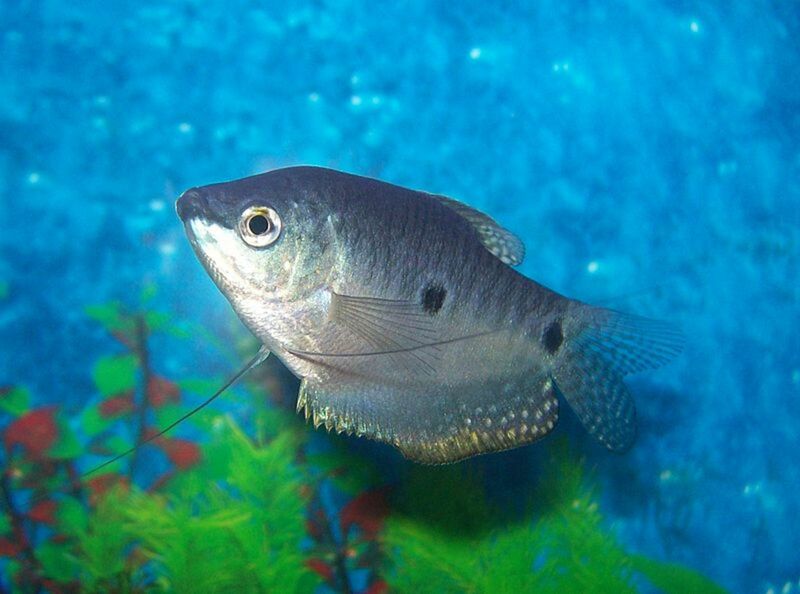 Algae-eating fish will only eat what they can, and what they want. It may not feel comfortable going near the bubbler or the heater for whatever reason. You also may have more algae in your tank than it can handle. Even in the best of situations, algae eaters will not completely clean the tank. You will still have to roll up your sleeves and do regular cleaning on your own. It’s also a good idea to supplement the diets of algae-eating fish with algae wafers and veggies. This ensures they are getting the nutrition they need. Bottom line: Algae eaters eat algae but, like you and I, they only eat what they want, when they want. The rest of the cleaning is up to you. Thanks for the article. As a new aquarium owner its hard to learn all the ins and outs of fish and aquarium care. I appreciate the advice and feel more comfortable about caring for my fish and tank. Keep up the good work. @hiya - Have you tested your water parameters? It seems like your tank conditions are promoting extremely fast growth. Please review the issues I mentioned in this article and consider which may apply to your situation. I cleaned my tank from top to bottom on Sunday. By Wednesday it was almost completely green again. I feed my 3 fish twice a day but only small amounts. The filter works fine and I change it when I clean the tank. Why is it growing so fast and how can I at least prolong the cleanliness of my tank once I've cleaned it? Thanks Heidy! Glad to be helpful. Don't let that betta push you around! Great article. Thank you! I've been doing it all wrong, so this is very helpful. I have a betta with an attitude and doesn't like to have the water changed. I have found that mollies make excellent algae cleaners. They don't get rid of it on glass but they're very good at picking it out of cracks and crevices on ornaments and fake plants. They're good for keeping algae under control if it's not out of hand. I've tried mystery snails with overgrown algae and my verdict is "don't rely on them". They clean surprisingly little algae. Also, they're picky with water quality, especially hardness, and almost all that I've owned have suddenly died after a few months. I don't like plecos, chinese algae eaters or anything with a sucker on its mouth. Every one that I've kept ended up going after my fish and eating holes in their sides. Once they start doing that they won't touch algae again. In general their reputation as algae eaters far exceeds their actual performance. They'd rather eat fish food or the fish themselves. Plecos also grow huge even in a small tank, and then nobody wants them. We had one in a 15 gal tank that grew longer than the tank in less than a year. For algae, I just do what I've done since I had tanks as a child - when changing the water I take ornaments out and scrub them with a brush in a bucket of tank water. I like the floating magnets for the glass. @Fish - Plants shouldn't cause algae to grow. If it is out of control you may have a bigger issue, but if you just have a little on the glass you can just get rid of it every few weeks with an algae scrubber. @Jeez. Do you mean an algae scrubber? In my opinion they are the best and easiest way. There are chemicals you can use but I do not recommend it. anyway to do it without an algae pad? Thanks Maria! Good idea to wash your hands before handing your tank. Just make sure you rinse them thoroughly so you're not introducing detergent into the tank by accident. Good luck! I am a " Newcomer " with Fish Tanks. Thank you very much for all the Advice 's. It sure will help me to keep my Fish healthy and happy. I also wash my hands before I have to get into my Tank. @Carla: Could it be bubbles at the water surface? Bettas create bubble nests and it can sometimes look like a film on top of the water. I'm cleaning my Betta fish weekly. There is always this white cloudy substance in the tank. When I clean my fish tank I always put in water conditioning and water clarifier. I don't over feed my betta. Help what am I doing wrong. @ Whodoo: I would not use any type of chemical solution to clean algae. You need to clean it with old-fashioned elbow grease. If you need a coarse medium for scrubbing you can use some aquarium salt, but make sure you rinse everything thoroughly before putting it back in the tank. K, what is a good method for killing the spores/etc that won't kill other things in the tank? I am going to break down the tank, wash and clean the live plants and other objects, and ideally soak them briefly in something that will kill the algae but not harm the plants, esp. "post facto", by contaminating the water even after rinsed off. The problem is I have a blue-green algae that seems to laugh at all other efforts to constrain it. I want to do as much as possible to make sure none is restored to the tank when I re-build it. Will a brief dip in alcohol+water and then peroxide+water kill any algae attached to the plants and other surfaces (not doing anything to the fish) and allow the plants to survive? Thanks for the kind feedback, everyone! I really appreciate your comments. I used to have goldfish, but it became a big job to keep their container clean, so I gave them away. 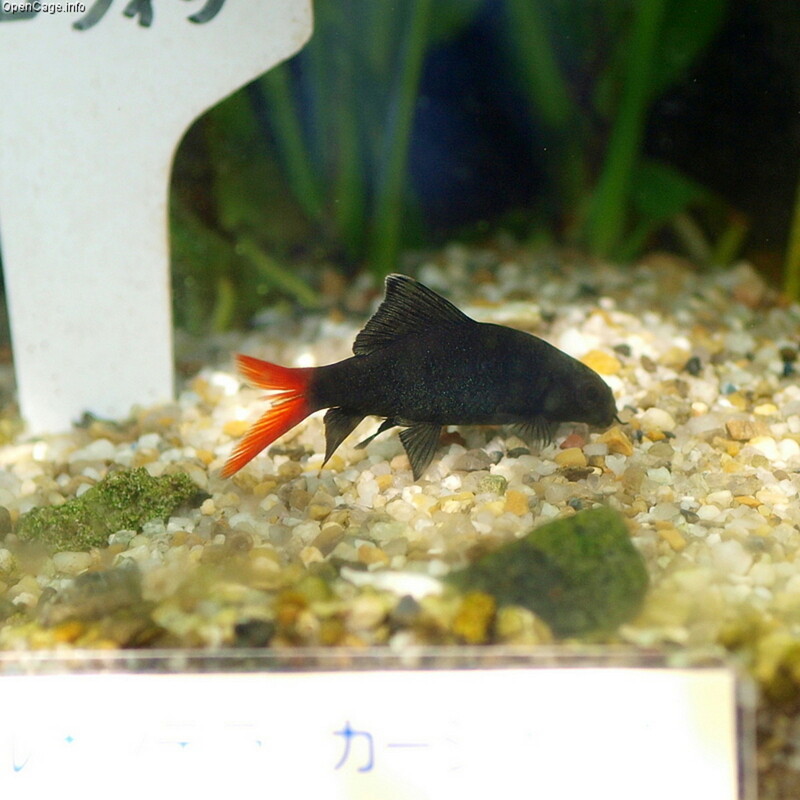 I like fish very much and enjoy watching them swimming about, I found it very relaxing. You have done a great job writing this article. Thanks. Definitely a great tutorial on algae control for fish tanks...I do not have one at present but my daughter does so I will be sharing this with her. Congrats on HOTD...definitely deserving of the recognition. Meant to say congrats on your Hub of the Day award for this well done post! Thanks for this useful article! We only have a small 25l tank, and have 3 x platys and a hillstream loach to nibble up algae. Whilst we have a plastic plant, we've added a massimo moss ball to help boost oxygen and compete with algae. Not sure whether this actually works or not though! We do get a bit of algae building up, but I am cleaning most of this off the glass once a week, and hoovering the poop out of the gravel at the same time, whilst doing a little water change. Still very new to the hobby, so articles like yours are so very helpful. Thank you for a brilliant Hub! Nicely done! This would be a useful read for any tank owner/user, but it is so well done that children who are being introduced to this hobby would greatly benefit from reading or having it read to them. Congrats Eric on HOTD for this fascinating hub. Nice work! Useful tips for keeping the tank clear. I am watching the Plecostamus with interest!